Not only are the murders of the priest Arturo Orta and the former coach of Xolas, Mar Ibarra, in Rosarito; Athletes, mothers and collateral victims have also been killed. With a rate of 84 homicides per 100,000 inhabitants in the municipality, only 1 in 9 alleged perpetrators has been arrested. From January 1 to October 31, 2018: 92 people have been murdered in Playas de Rosarito. Of these homicides, 18 in October. 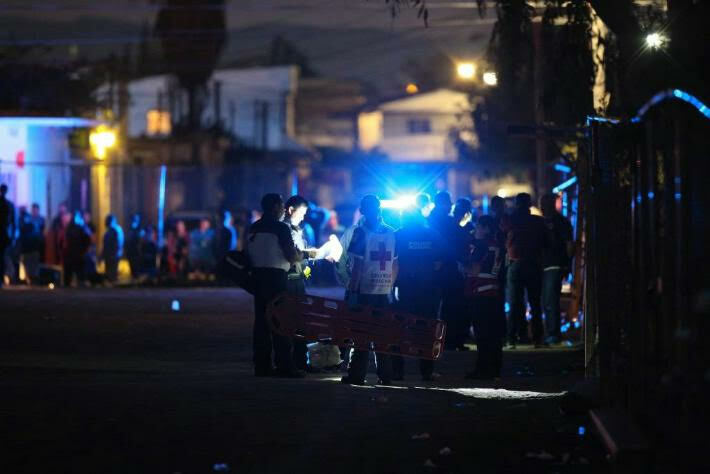 Although the number may seem small compared to the more than 2,000 homicides registered so far this year in Tijuana, in reality this places Rosarito with a rate of 84 homicides per 100,000 inhabitants. Of 111 investigative folders, the Attorney General of the State (PGJE) reported that only 13 cases have been prosecuted, that is, only in 11.74 percent of the cases, an alleged perpetrator was identified who is in prison and under criminal process. Emmanuel López Lozano, who had been a baseball player since he was 12 years old, had already won children's championships. At 16 he became the state batting champion and became part of the Toros de Tijuana rookies team. At 22, he was also a construction employee in California. 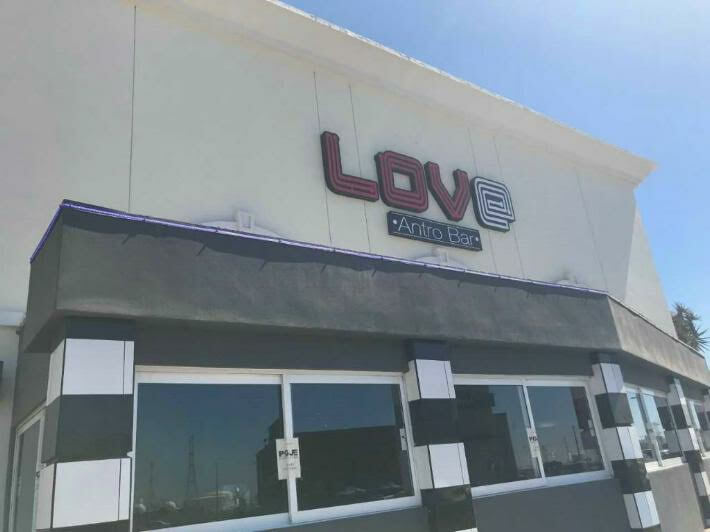 On Saturday, September 15, 2018, he was on the other side of the border, where he would watch the boxing match between "Canelo" and Golovkin at the LOVE bar in Playas de Rosarito with his friends. Sept 15, 2018 where 2 people were killed and at least 3 others wounded. That night, the building located inside the Pabellón Rosarito shopping center was packed with more than 400 people. Emmanuel and his friends were on the ground floor when they were made of words with a group of men on the top floor, who after a few minutes of shouting, started shooting down. Around 9:30 at night, authorities received the report of detonations of firearms in the building, they were also informed of wounded and dead. Emmanuel lost his life in the place. Brenda Verónica Varela Navarrete, 31, who was at a table next to Emmanuel and her friends, also received several shots and despite being transferred to a hospital in the city, she died as a result of the injuries. Three more men were injured. After responding to the report, Municipal Police officers followed a Toyota Tundra truck with California license plates, in which armed men had fled from the mall. Approximately one kilometer, in the Colonia Ampliación Reforma, they were caught and apprehended. Luis Donaldo Zamora, 25 years old; Jesús Ricardo Mojardín, 30; and José Luis Mendoza, 39, traveled in the truck with two pistols and a long gun, all used in the shooting of the bar. After his arrest they were presented before a judge, who released one of them. The reason, as reported by the PGJE, was that Mendoza "was not directly linked to the scene, apparently there was no information or any indication that that person was found at the scene." 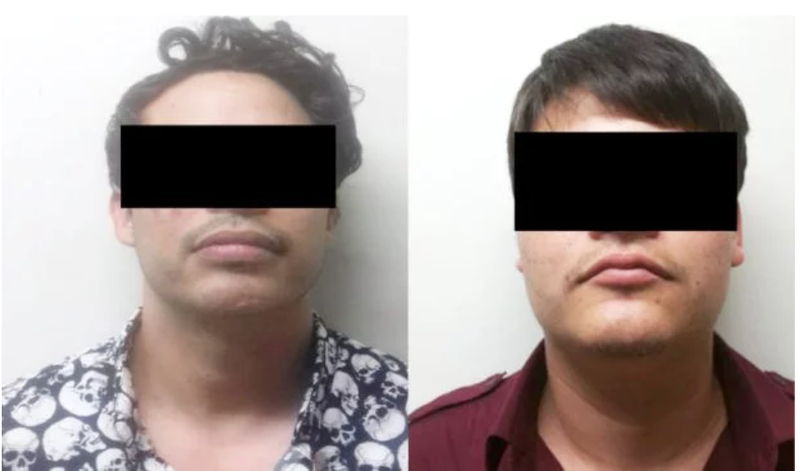 Although, the PGJE has three months of additional investigation period to provide more evidence to prosecute Luis Donaldo Zamora and Jesús Ricardo Mojardín for the crimes of qualified homicide and attempted murder, the crime could have occurred because LOVE bar allowed the entry of armed people, even carrying high caliber rifles. At the moment, the attorney general does not rule out that more people have fired that day, due to testimonies collected and videos from the shopping center -the bar does not have video surveillance equipment- in which more armed individuals are seen running out of the place. The three weapons confiscated are an R-15 rifle, a 9-millimeter Beretta pistol registered with the National Defense Secretariat and a short- handled FN Herstal gun . The property is identified as the property of Jesús González Lomelí, who in February 2018 assumed the position of councilman of the VI City Council of Playas de Rosarito in his capacity as substitute before the departure of the owner councilor Luis Ricardo Cabrales Martínez. González Lomelí is also the owner of other bars in Playas de Rosarito, such as Coco Beach Bar and a seafood restaurant. During the campaign of the current mayor Mirna Rincón Vargas, the alternate councilor of the PAN supported her in various public events. Of the 92 homicides registered in Playas de Rosarito, ten cases have been prosecuted (some with several victims) with detainees in prison and in criminal proceedings. In addition, the PGJE has completed 11 arrest warrants and the Judicial Branch has granted 15 pending orders. One of the detainees is Diego Gracia Morales, 18, who on September 28 murdered his mother, Dolores Herlinda Gracia Morales, at the family home in Colonia Ampliación Plan Libertad. 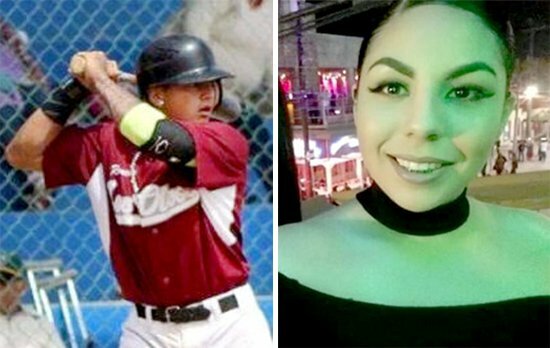 The young man, who after the facts had fled to Ciudad Obregón, Sonora, was found five days later in that city by elements of the Ministerial Police and transferred to Rosarito, where a judge linked him to trial for the crime of feminicide. According to witness statements, the young man used drugs and when his mother asked him to enter a rehabilitation center, he stabbed her to death. It is not the only case. Relatives of Edith Fernández Naranjo, a 24-year-old girl found dead on Friday, October 12, have requested the support of the authorities and the citizenry for a week to find Ricardo Hernández Gámez, the victim's partner, the main suspect of the homicide. The body of the girl was located in Palma Real in Tijuana, very close to the limits with Playas de Rosarito; authorities suspect that the homicide was committed in the house that the couple shared with their children in the Constitución neighborhood in Playas de Rosarito. Edith's body, which presented cutting wounds, was wrapped in a blanket and thrown into the street, two aspects that would allow the authorities to catalog this crime as a Feminicide. Relatives of the victim report that the couple's relationship was quite conflictive and even the young woman had been beaten by her husband, but weeks ago, Edith Carolina had decided to give Ricardo one more chance, so she returned to live with him together to his two small children. According to information that the family contributed to the PGJE, Ricardo himself confessed to having murdered his wife after an argument in which Edith had taken a pair of scissors and he snatched them to stab her. However, this was referred to them by the family of the suspect, who has not been located since then. That same weekend another woman was killed by her former partner, who after shooting him in the head, committed suicide by his side on the beach of Primo Tapia. On Saturday, October 13, a call to 911 alerted of the plight of a woman, minutes later another call reported the theft of a taxi. On Saturday morning, while Delia was at home, Óscar David arrived and was armed, forced her to get into the taxi she was driving, the minors who witnessed the forced act reported the events to the authorities. When the police began the search, Delia communicated by phone with her daughter to ask them to stop searching, under threats from her ex-partner, the police suspect, it was the last time her family could hear her. Shortly after, at 12:45 p.m., police found the two bodies dead at the height of Kilometer 56 of the free highway Tijuana-Ensenada, near Primo Tapia. 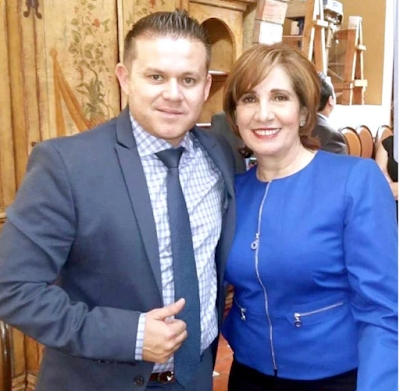 The PGJE determined that Óscar David Gastélum Quiroz shot Delia in the head and placed her at his side as if she were hugging him, and then shooting her in the temple. In his hand, the 38-caliber revolver with which the man committed the crime was located. Although the state attorney general's office reported that each homicide has different characteristics that prevent them from forming a concrete profile on most of these crimes, the director of Public Security, Adrián Hernández Pérez, observes otherwise in the streets. He admits that in some cases it can be fights, collateral victims or femicides, "there are many drug dealers who are fighting their streets, they are not high-level criminals. Most homicides are on the streets. " The lieutenant attributes it to the escalation in homicides. It also refers that they have detected the murder of relatives of narcomenudistas. "They are direct attacks on people, there are no coincidences, there are no tourists killed," he adds. When talking about the cells behind these crimes, Hernández Pérez details that organizations such as the Tijuana Nueva Generación Cartel, the Jalisco Nueva Generacion Cartel or the Sinaloa Cartel have a presence in Rosarito, but that some lower-ranking members sell drugs in the streets of the city. What's up w that dudes hair? Thought it was a chick till I saw the mustache!! The hipster look knows no boundries. México a Hot mess every where. Hope ensenada stays cool OR i Will sell my property. You haven’t figured it out? I’ll give you 10 to 1. You might as well sell, soon the local cartel, will use your land to bury dead bodies. Ensenada definetly not cool these days...unf unfortunately. I avoid parlores de billares, salas de eventos when narcocorridos are blasting out in the street and barras surrounded by 4WD 4-door pickup trucks with gleaming 24" wheels especially when seeing a young obvious halcon standing guard. Inviting people with hazy backgrounds to a family celebration is risky "Oh he's a friend of Lucas" doesn't cut it anymore. But the city is quiet Tijuana is another story. Rosarito is a gringolandia drug buying hangout. Very streetwise...good points to live by. Crowd avoidance is a security measure.